Elite Camp - WELCOME TO LION SWIM CAMP! Lion Swim Elite is specifically designed for the swimmer wanting to learn elite level techniques and training skills. This camp is open to boys and girls ages 9 and up who are proficient in all four strokes. Our goal is to provide an atmosphere where swimmers are excited to learn about all areas of competitive swimming. Our coaches will conduct two daily sessions, which include a workout (afternoon sessions), technique and drill work on all four competitive strokes, starts, and turns (morning session). Campers will also receive nutritional information with a focus on peak performance and recovery. The opportunity to learn about goal setting, both immediate and long term. Learn the ins and outs of college decision/admission process, and have the chance to ask questions to current student athletes. 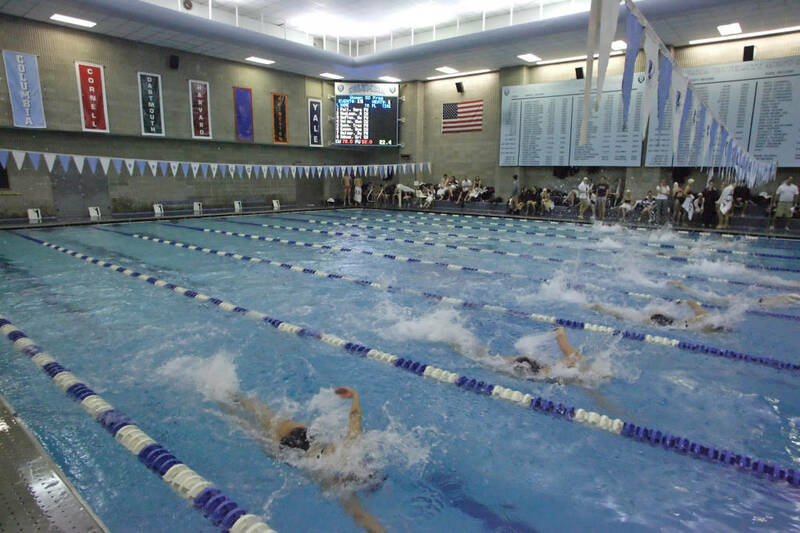 Uris Pool, home to Columbia’s men and women’s swimming and diving teams, is located within the Dodge Physical Fitness Center on the campus of Columbia University. The pool can be accessed via the first floor of the Dodge Fitness Center. ​The Dodge Physical Fitness Center is located at Broadway and West 116th Street. However, the building cannot be entered from 199th Street: it can only be entered from the campus level, accessible through the 116th Street gates.